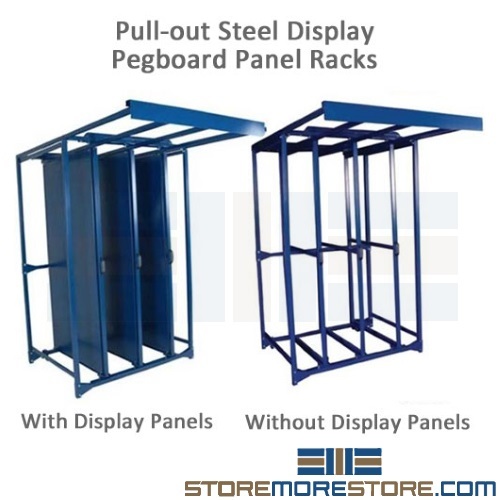 Pegboard sliding tool display panels on moving frames store a wide range of tools for durable storage in less space. The sliders pull in and out easily and are great for tool cribs and other tool storage applications. On average, a technician can spend 20 minutes searching for a tool they need. At this point, they either spend more time searching or give up and use whatever’s available, which may not be suited to the task. When you multiply how often this happens in a single day along with the labor rate of technicians and the risk of damage by using the wrong tools, it costs more than just 20 minutes of wasted time. Unique and expensive tools also provide additional challenges as they require usage monitoring. 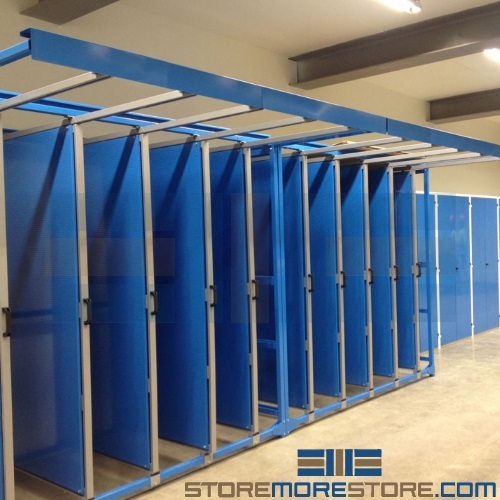 The sliding pegboard racks are great for storing, organizing, and displaying tools, gaskets, belts, parts, hoses, and other items that are difficult to store in regular shelving. Nesting the panels together also reduces the amount of space needed for specialty items that require a greater deal of wall or floor space. Items like belts and gaskets are also protected from damage by being stored vertically instead of crammed into a drawer. The system is easy to use; when retrieving tools, the user simply slides out the desired panel with the pull handle. Pegboard sliding tool display racks are available to buy online in multiple sizes. For further assistance, call us at 1-855-786-7667 or send us a message to speak to one of our experts.